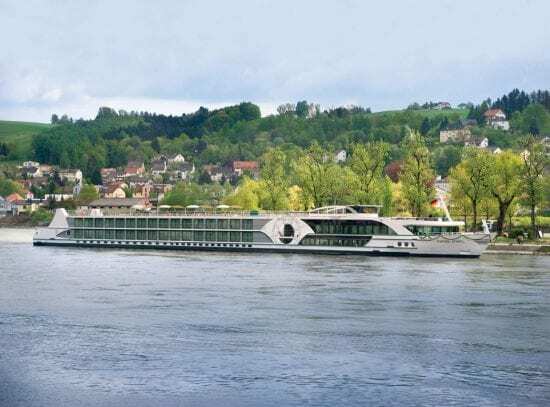 WILTON, CT (April 10, 2019) Tauck has revealed details of its three Douro cruises – its first ever on the river – slated to launch in 2020. Earlier this year the company announced plans to expand to the Douro with three new cruises and a new ship, the ms Andorinha, and in the months since it has been busy finalizing details of those new itineraries. The three new cruises will include the travel industry’s first-ever family river cruise on the Douro, “Douro Discovery: A Family River Cruise in Portugal,” and two adult cruises; the eight-day, cruise-only “Villages & Vintages: Cruising the Douro River Valley” and the 12-day “Exploring the Douro, Plus Lisbon & Madrid.” The latter itinerary combines a seven-night Douro cruise with a two-night, pre-cruise hotel stay in Lisbon and a two-night, post-cruise hotel stay in Madrid, both with included Tauck sightseeing and other activities. Although initial departures are still a year away, Tauck is reporting strong bookings across all three itineraries. “Douro Discovery: A Family River Cruise in Portugal“ begins in Lisbon with an included transfer from Lisbon Airport to the Four Seasons Hotel Ritz Lisbon, where families will enjoy a two-night stay as they explore the Portuguese capital on guided excursions. Activities in Lisbon include a tour, reception and welcome dinner inside the 18th-century National Palace of Queluz, a tram ride through the bohemian Bairro Alto enclave and a guided walking tour of the city’s Alfama neighborhood. Guests will also enjoy free time for independent exploration, and a guided visit to Portugal’s National Maritime Museum. The following day, families will enjoy a walking tour of the medieval city of Coimbra before traveling to Porto to embark the ms Andorinha. The ensuing five-night Douro cruise will be highlighted by guided sightseeing in Porto, a visit to the Museo do Douro in Peso da Régua, and a walking tour in the village of Pinhao. Guests will also have a choice of a hike through hilltop vineyards in Pinhao or a kayaking excursion on the Douro. Guests will also enjoy a choice of activities the following day, when they can discover the medieval city of Guimaraes, or participate in a cycling excursion that concludes in the picturesque town of Amarante. “Douro Discovery: A Family River Cruise in Portugal” is the sixth river cruise included in the Tauck Bridges collection of journeys designed specifically for families. Prices start at $4,290 ($5,570 CAD) per person, plus airfare. Tauck’s eight-day, cruise-only itinerary “Villages & Vintages: Cruising the Douro River Valley” begins with a choice of walking tours in Porto exploring either the town’s historic center or its Ribeira riverfront district. Subsequent days are highlighted by a private dinner with wine pairings at the family-run wine estate Quinta do Portal, an exploration of the medieval town of Guimaraes, and a visit to a port wine “cave” in Vila Nova de Gaia for a tour and tasting. Other days offer a choice of excursions, including either a visit to Museo do Douro in Peso da Régua or a port cocktail-making workshop, and either a visit to the medieval hilltop village of Castelo Rodrigo or a tour of the Museu do Côa to explore the region’s Paleolithic history. Additional choices on other days include a walking tour of Pinhao or a hike among hilltop vineyards, and a visit to 18th-century Mateus Palace in Vila Real or a cycling excursion through the Vinho Verde wine region. Cruise prices are from $4,190 per person ($5,440 CAD), plus airfare. Tauck’s third new Douro itinerary, the 12-day “Exploring the Douro, Plus Lisbon & Madrid,” begins with two nights at the InterContinental in Lisbon, a tour and welcome dinner at the National Palace of Queluz, and city sightseeing that showcases the world renowned carriage collection at the National Coach Museum. Guests will also explore Coimbra on a walking tour before arriving in Porto for embarkation aboard the ms Andorinha and a full day of sightseeing in the city the following day. Highlights along the Douro include visits to the historic town of Guimaraes and a quinta (wine-growing estate) in a Vinho Verde vineyard, a guided bicycle ride in Peso da Régua, a visit to the 12th-century Monastery of St. John, and a guided tour of the Douro Museum. Guests will also have their choice of a guided tour of 18th-century Casa de Mateus, or a guided walk through vineyards to a port cocktail-making class. A true culinary highlight of the cruise is a special dinner at the restaurant DOC that will reveal the gourmet cuisine of acclaimed chef Rui Paula. After disembarking, guests will enjoy a walking tour of Salamanca before continuing on to Madrid for a two-night stay at The Westin Palace, where a full day of city sightseeing is highlighted by a visit to the Royal Palace, the official residence of the Spanish royal family. Cruise prices are from $6,490 per person ($8,440 CAD), plus airfare. Included in the prices of the three cruises are all shore excursions, all gratuities, all beer, wine and spirits, airport transfers, luggage handling, and much more. In other Douro-related Tauck news, hull construction for the ms Andorinha, the company’s new Douro riverboat, has been completed at the Vahali Shipyard in Serbia, and the hull was recently transported by tug to Hardinxveld, the Netherlands, where final outfitting will occur. To ensure a relaxed and intimate ambiance, Tauck is intentionally limiting the ms Andorinha’s capacity to just 84 guests; far fewer than other Douro ships of similar size which accommodate up to 112 passengers. And while the ms Andorinha will have far fewer guests than other ships, it will still have more director-level personnel to ensure Tauck’s guests enjoy the highest levels of care and service. As on Tauck riverboats fleet-wide, the newbuild will be staffed by a Tauck Cruise Director and three Tauck Director guides. The Tauck Bridges itinerary will also feature a Family Host, who will enhance guests’ experience by coordinating special activities, crafts and family fun aboard the ship. “Andorinha” is the Portuguese word for a species of migratory swallow that returns to Portugal each spring after wintering in Africa. Ceramic sculptures of the birds are popular throughout Portugal, and because swallows typically return to the same nest each year with the same mate, the figurines have become symbolic of family, home and fidelity – qualities that resonate deeply with a 94-year-old, family-owned and operated company like Tauck.